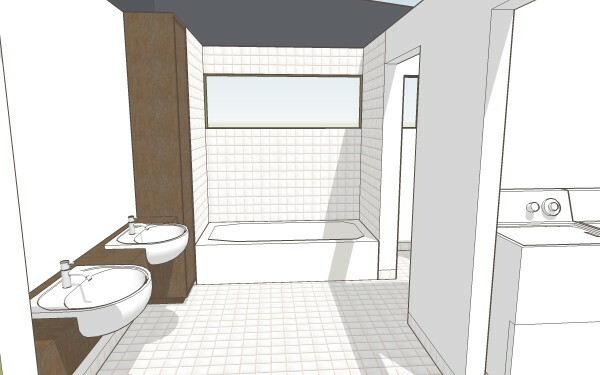 I've begun fleshing out the material textures in the master bathroom suite. I always enjoy fitting out the bathrooms in a simple and straight forward manner. 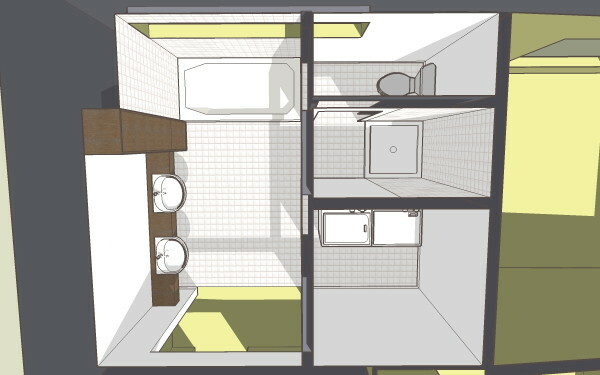 Customers always seem to build them out in interesting and personal ways no matter how I document them, so I get to fulfill my own bathroom minimalism in the Design Print images. Oh, you could have said you were "flushing" out the details of the bathroom.